In the latest episode of the Windows Weekly podcast, Leo and I discuss a possible fix for Windows Phone data leaks, a rant about Microsoft's inability to patch Windows Phone, 2010 PC sales, Windows 7 SP1, December video game sales, an IE 9 RC preview, a new book from Mark Russinovich, OneNote for iPhone, Google and Microsoft's battle of the "nines," Steve Jobs and Apple, and Eric Schmidt's surprise announcement. Windows Phone app of the week: ZOMBIES!!! Securely erase a hard drive so you can dispose of it--or give it away, or sell it--and not worry about someone stealing your data. Best of all, it's free. 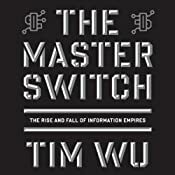 Audible pick of the week: The Master Switch: The Rise and Fall of Information Empires by Tim Wu. "A secret history of the industrial wars behind the rise and fall of the 20th century's great information empires - Hollywood, the broadcast networks, and AT&T - asking one big question: Could history repeat itself, with one giant entity taking control of American information?"